Trying to find ways to rejuvenate your content marketing? We have 5 tips that can be immediately implemented to encourage engagement and increase sales via your content. 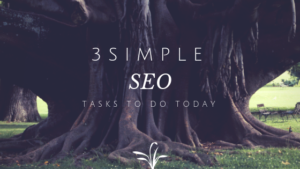 Put search engine optimisation at the top of your to-do list. Add it in from the very start as it is highly beneficial for organic content and your paid advertising strategies. SEO improves the visibility of your content in the search engines. Google and other search engines reward those following SEO best practices, so make sure you know what they are. We’ve said this time and time again, but knowing your audience is vital if you want to create the right type of content. Stop targeting your potential audience, and know who the audience is, what they want, care about and the type of content they’re most likely to interact with. Create different personas and find out about your different audiences and the type of information they like to consume. Most people are now using a smartphone to search. Consumers love having information at their fingertips, regardless of where they are and what time it is. Mobile friendly experiences are essential in modern day digital marketing, you must be mobile friendly. Create content that is designed for mobiles, put mobile-first at the top of your digital marketing planning, right there with SEO. There are plenty of trends that come and go, some come to nothing, others continue to fly high. Stay aware of these technological shifts and jump onboard to take advantage of them. Two current trends that are going places appear to be machine learning and artificial intelligence. Don’t ignore these, start planning and working on incorporating them into your content. Keep adapting your content and making any required improvements to ensure you’re on top of the SEO best practices. Things change, algorithms change, and your mobile optimised content will no doubt need to change at some point. Voice search, artificial intelligence and machine learning will become more important and content will have to be adapted to keep up. Need help with your digital marketing strategies? Speak to us to ask about our flexible and affordable digital marketing and SEO services in Worcester.